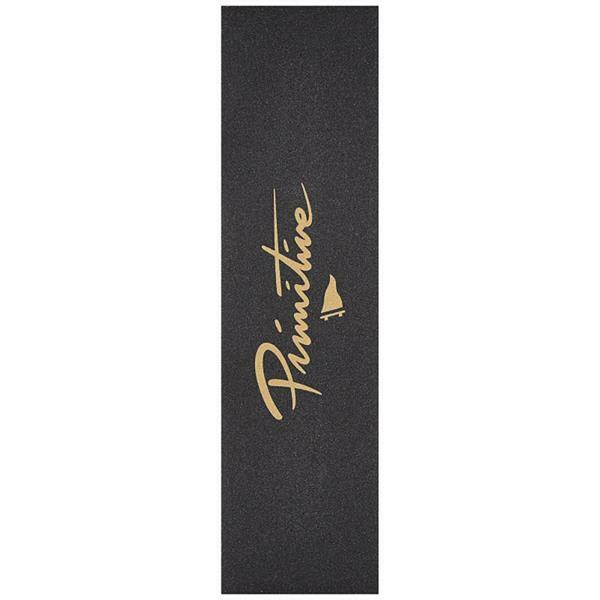 Rep the brand you know and love with the Nuevo Pennant Grip Tape from Primitive. This skateboard grip tape is designed to adhere to any deck and provide sure footing at all times. It features the Primitive logo across the middle for an added touch of style and is available in black or clear so you can find just the right aesthetic for your set-up. Great for any board and any rider, this grip tape is a must-have addition to your ride.